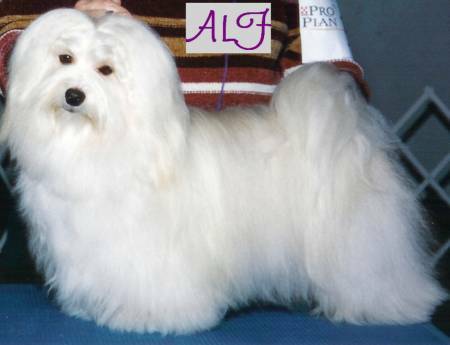 AKC CH MAJICAL ALIEN LIFE FORM - "Alf"
Alf is everything you would want in a Havanese. He has personality plus, wonderful coat, gorgeous eyes. Always owner/handled.